when it seems the universe suddenly remembers that you exist, that you’ve had a lot of time to play and have fun, and that it’s about time you started acting like the adult you are with real-life responsibilities. So yup, I’ve been busted. I’ve played around for quite some time (just totally indulging in scrapping and designing) and now I have to roll up my sleeves and get to work. – the schools call the parents to come pick up the report cards of their kids … and it baffles me, but it seems they like to hold programs and shows around the same period that you’re coming to school to meet the teachers–I can almost imagine them rubbing their hands in glee and saying, well, why don’t we load these wonderful parents with more stuff to do for their kids? 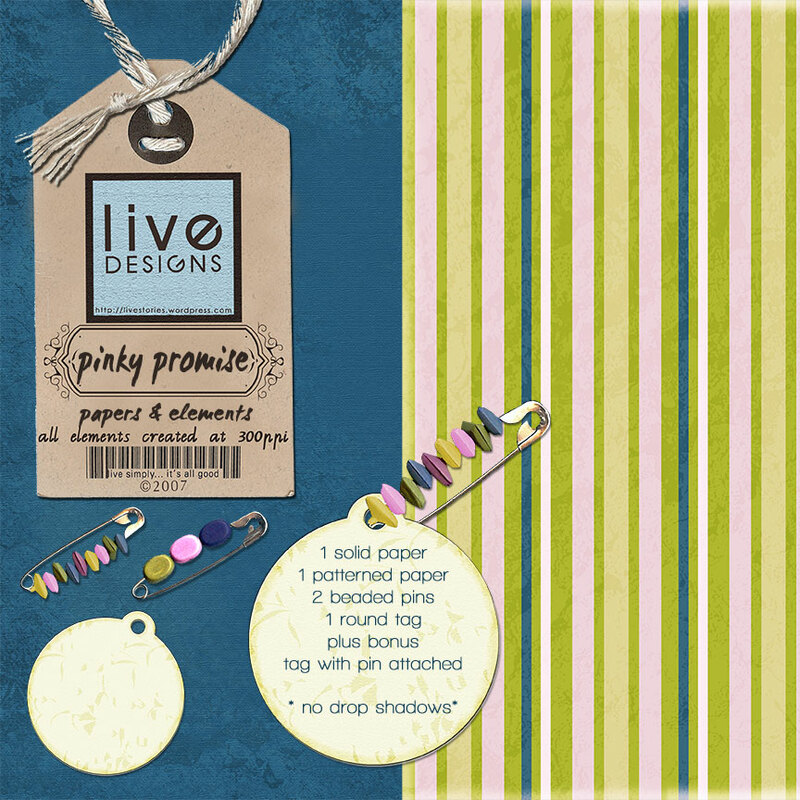 Thank goodness I just finished my first layout for the Stand Up & Scrap challenge! That was a whole lot of fun to do (it was a mixture of nervousness and just plain excitement over having to scrap without procrastinating, something that I kind of suffer from when it comes to creative output. I diddle and daddle and dawdle until everything comes together in one snap, and then it gets done. Sometimes it takes forever to get it done… but when I have a deadline, like we do in Stand Up & Scrap, I’m forced to make forever last a day ). So you will forgive me, please?, if I am panting and huffing my way here today (tonight? to-dawn? heeheehee). To relax, I’ve been learning a new piece on the piano, Meditation from Thais… beautiful, haunting song… I totally love this piece because it brings me warm memories of my childhood days when my uncle used to play this on the violin with my aunt accompanying him on the piano. Not that we really sat and listened attentively… my cousin and I went on playing our Little House pretend-character games (she was Mary and I was Laura), seemingly oblivious to the wonderful concerto accompanying our play. But it sticks. Years pass, and the melodies that entered your subconscious surface and bring warm fuzzies each and every time. Sigh. I oohed and aahed and said “Wow!!! What’s that?” He said (and this totally had me in awe): “This is a swirly man, mama, for you. 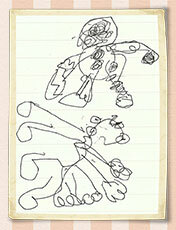 Because you make swirly drawings.” (Now, is that a son of a scrapper or what? hahaha). Download it here. The zip password is busybee. Drop shadows are there for preview purposes only. This set contains 2 papers (1 solid, 1 patterned), slightly textured… the blue one has a bit of a grungy look to it. I also included a round tag and 2 beaded pins for you to use in case you want to pin the tag (or photos, or journaling blocks, or whatever you fancy! ) on your layout. I’m sure you already know this, but just for the sake of saying it (ehhehe), in case you want to use the pin on other items and give it a realistic look, use your eraser tool to erase the parts that should be hidden under the item you’re pinning down. I included a sample of the pin and tag… and when I had finished it, I thought: hmmm, why don’t I throw that in as well, so that my dearest friends have less work to do with this particular tag and pin? So there it is, in the kit as well! Let me know what you think, please? Your comments really do help me in my design work… a lot more than you could ever imagine! Thanks in advance, honeys! pooja, dear, I hear you: let me go try to design something with elephants… it’s going to take some work as the elephants I know how to draw are a bit on the cartoony side :D… but I’ll do my best to come up with something for you! I discovered the whole Lavender Porch kit (all the freebies) included in the freebie list here. (Although I did have to scroll all the way down to find them… hahahaha). I am always amazed to find my freebies “found” as wordpress is normally not as accessible to freebie finders as blogger is… but hey, I’m happy! Freebies on any freebie finder means more people get to play with my humble gifts! Now, off to bed or I won’t be functional tomorrow, and there’s lots more to do… again! Night-y, my friends! Thanks for passing by and do come around again! Soon! Categories digital scrapbooking, goodies & freebies, melodies, scrap bites, Share the Digi Love! Thanks so much for the Pinky Promise! Love how you did the pins…beautiful!! Thanks again for sharing your wonderful talents with us. (We really do appreciate it). Just found your blog and your designs are wonderful!!! Thanks so much for sharing!! Wonderful Liv!!! Thanks for everything … the music, these gorgeous goodies, you’re sweet special spirit!! Love ya girlfriend!!! Another wonderful display of your artistic talent. You are so generous to share with us! !